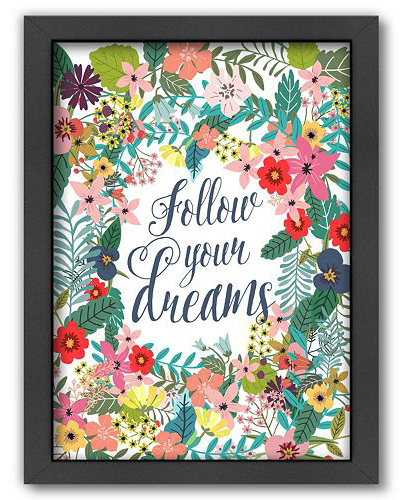 Give your home a punch of eye-popping color with this ”Follow Your Dreams” Framed Wall Art. Attached D-rings make hanging simple. $114.99 Sale $68.99. Buy here.